Whether you're dressing as your favorite British band, Austin Powers character, or you have some other hilarious or cool Halloween look that we can't even guess at, this UK Flag Fydelity Fanny Pack will finish off your costume, brilliantly! 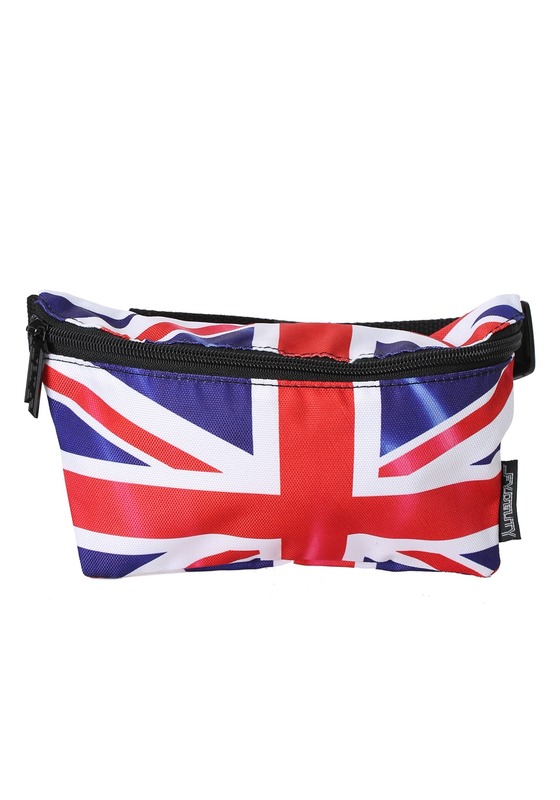 For festivals, parades, trick-or-treating, or a costume bash, this little pouch will prove as indispensable to your Halloween as...oh...Britain is to world history (which is to say, pretty darn indispensable!). 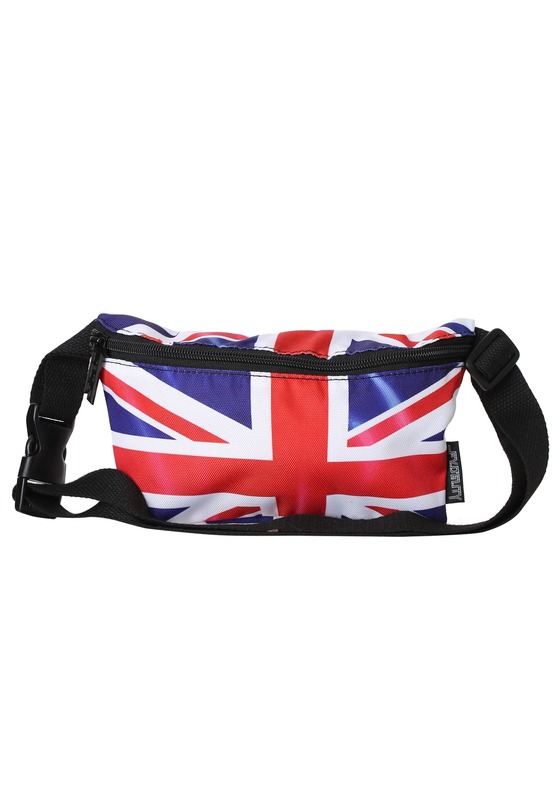 Drenched in English pride, this bag sports the Union Jack and will show off your affinity for our fellows across the pond. Featuring a zipper function to keep your belongings safe and an adjustable waist strap, this canvas pack ensures your party proves as fanciful as a trip to the English countryside. Say goodbye to boring totes, technical backpacks, fancy purses, and flimsy canvas bags—this fanny pack is the one piece you'll need to explore the world right outside your door. Of course, you may want to brush up on your British history and Brit lit, because folks are bound to engage you in a conversation about your favorite destination when you've got this pack by your side!